What is the Junior Servants (JS) program? 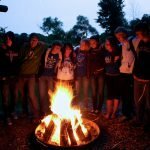 The Junior Servants (JS) program is a two week long volunteer program for high school aged youth that focuses on service, leadership development, spiritual growth, and fun. We want this to be some of the best times of your summer…some important parts of the two weeks will be spent developing relationships with God and others through Bible Study, recreation, team-building activities, cleaning camp, helping in the kitchen, and working alongside a cabin groups. Why should I apply for the Junior Servant Program? The list is great! Your time will be spent building relationships with counselors, other Junior Servants, and campers from all over the country as you learn to live out your faith through service. Upon completing the JS program, you will have gained valuable work experience that can be significant for you in seeking future employment on summer staff and elsewhere. An added bonus: you get a t-shirt that is designed specifically for those in the JS program and nobody else gets ‘em, as well as a DVD from your weeks here at camp. These weeks of great memories and growth will last a lifetime and are yours for the taking. Not Sure which application to fill out? Click here to learn more about the Junior Servant Levels. Once you are accepted into the Junior Servant Program, there will be a $65 fee to help cover the cost of the program. There will be a Spring Training session on April 5th -7th that is required for all participants of the Junior Servant Program. This training session covers the policies and procedures of working with youth, developing leadership, and a chance to get to know other Junior Servants that will be serving this summer at Camp. If you are unable to attend due to: distance, death in the family, or illness, alternate training can be provided. Anyone who has finished at least 9th grade by June of the year they would be serving may apply to be a JS1. Those who have been a JS1, JS2, or JS3 in the previous year may apply to be a JS2, JS3 and JS4 or Leader in Training, respectively, for the upcoming year. Completion of one session does not guarantee that you will be automatically accepted into the program or promoted to the next level. Learn more about Junior Servant levels. Once you apply, a phone interview will be conducted, by one of the Lutherhaven staff. Beginning February 15th applications and interviews will be reviewed to verify that the candidates are suitable volunteers. Then we will begin placing the applicants into sessions. We desire to have multiple levels in each JS Session. We place the applicants based on the interview, quality of your application responses, references, session preferences, and gender (for housing availability). When will I find out if I have been accepted in the Junior Servant Program? The Junior Servants will be notified around February 15th as to whether he/she has been accepted into the program. 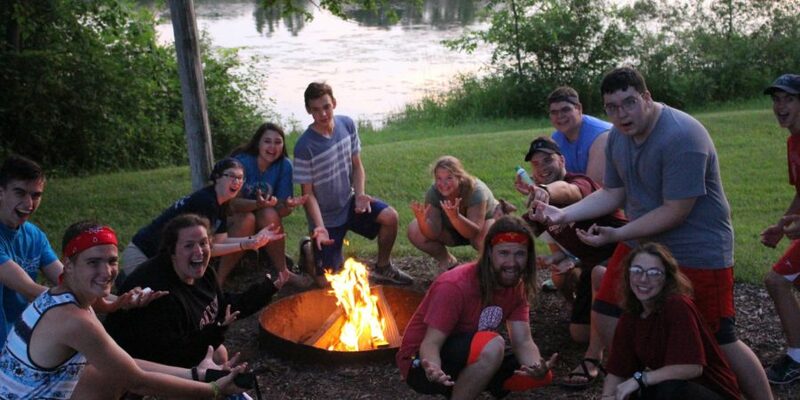 Contact celine@lutherhaven.org or give us a call at the Camp office. We’d be happy to help you with any questions.